Oh great - can't wait to hear how it's made over there. Am so jealous of this trip of yours! 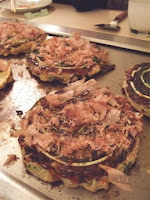 Here are some tips for making Okonomiyaki at home! http://okonomiyakiworld.com - Have fun! Great site, okonomi_yakity! 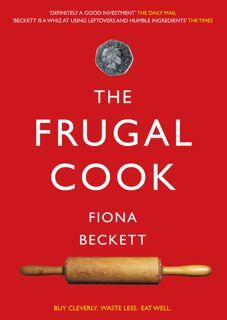 Would be hard for UK based readers to get hold of the special flour so presumably you can use plain flour with perhaps a little chickpea (gram) flour mixed in which is again hard to find here? And what kind of seasoning would you add? 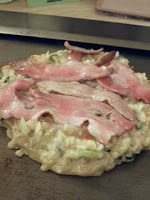 Also what form is the tempura batter added in? 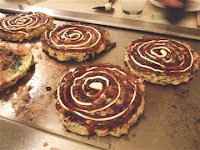 I love okonomiyaki, they are such a good, tasty meal. 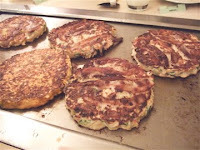 You're right about it being like bubble and squeak but so much more. A couple of the Sydney farmers' markets have stands, but I've never tried to make my own. 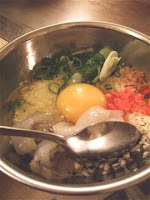 I particularly love them with mayo, seaweed and kimchi. Might actually have a go at it tonight if I can find a few of the ingredients! 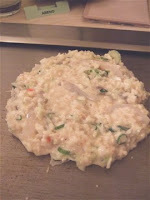 Incidentally, the tempura batter is in the form of crumbs called "http://en.wikipedia.org/wiki/Tenkasu">tenkasu. Thanks Meemalee! Have already noted it down and hope to swing by the Japan Centre when I'm in London tomorrow or Thursday. Determined to crack a home-made version! That's a fantastic link, Dave. Thank you so much!